This is Delilah. She was in the Odessa shelter a few years ago suffering from a severely broken front right leg. A local animal rights activist called me to come to the shelter to rescue a senior male Dachshund who was in horrible shape. I pulled Delilah out of the shelter that day too. Her leg was damaged beyond repair and had to be removed. The Dachshund had huge tumors all over his belly, and our vet discovered he also suffered from diabetes. I named him Moses, and Rick and I prayed for his recovery. Sadly, Moses passed away that first night at the clinic. We were too late to make a difference in his life, but we were thankful he did not die in the shelter. I would never have seen Delilah had it not been for Moses. She is a happy, healthy little gal that lights up my world everyday. She lives today because of Moses. 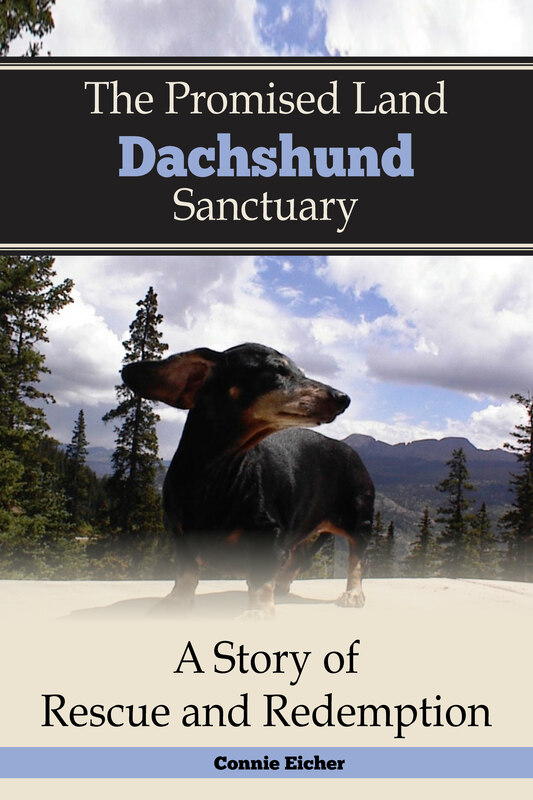 Andre’ alpha male was our first official rescue for The Promised Land Dachshund Sanctuary. We pulled him from the Odessa shelter in July of 2001, and he will soon be 17 years old. I thought it might be fun to show the pic we took of him on his first day compared to the most recent pic.